Although last week's trip to Barcelona was a family holiday and nothing to do with beer, somehow I did manage to involve a little bit of the latter... Indeed, along with a brief business trip there last autumn, I've now been to three of the city's new beer destinations: BierCab, Chivuo's and BlackLab. Anyone familiar with the Barcelona (and indeed Catalonia and Spain more generally) of 10 to 20 years ago will be startled by the very idea of a 'beer destination' there – Spanish beer was basically Eurolager, plus a few seasonal oddities, such as strong lagers pitched as Bock or Märzen. But like so many other countries, Spain has had a craft beer revolution, and the results are sometimes extremely good. 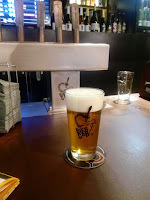 I liked BierCab – it's a friendly craft beer bar with 30-odd taps, pouring a 50/50 mix of local and international beers. 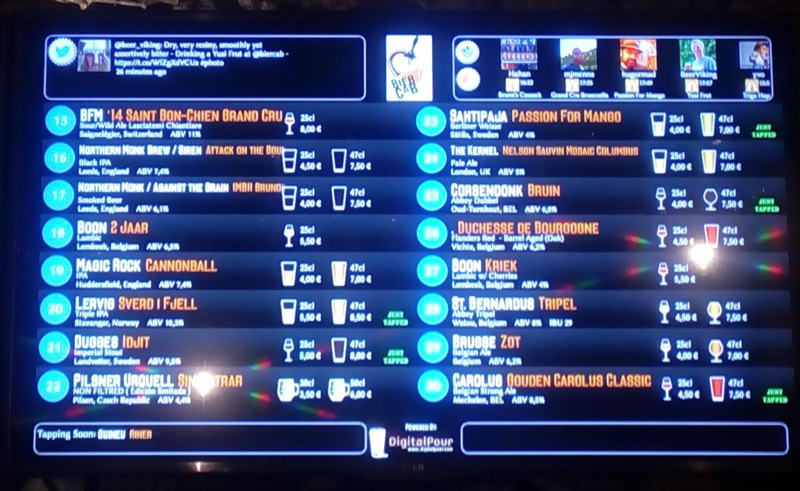 It's also the first place I'd been in which had huge screens above the bar showing all their recent beer check-ins on Twitter and Untappd. Seeing my own mugshot scroll past after checking in a beer was a bit disconcerting! Chivuo's was rather different but equally likeable – enough for a second visit, this time with Mrs BeerViking (it helped here that it was only a short walk from where we were staying). 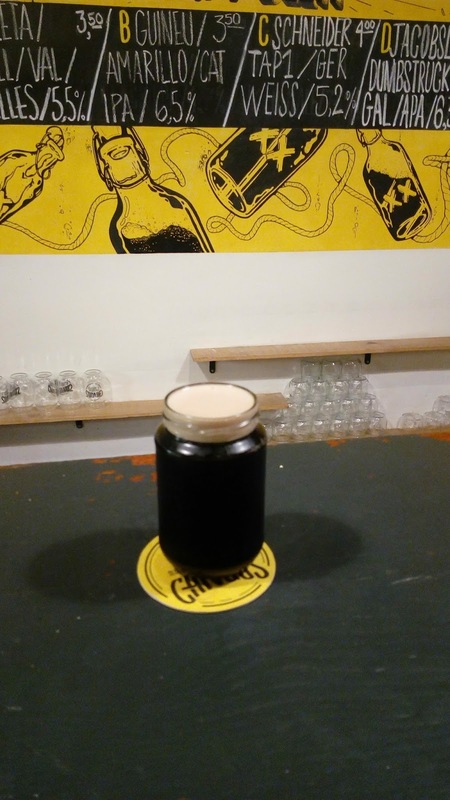 It's rather more hipster, which on the plus side means a menu of jolly decent 'slow street food' – that's burgers, pulled-pork and the like – and on the minus side means beer served in bloody jam jars*, complete with the screw thread for a lid! But no, there were no lids on offer for take-aways, only flip-top growlers. Nipping out for a jar? 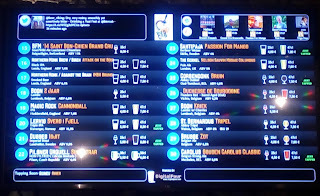 Only eight taps here, but all the draught beers are either from the Barcelona area or not far away, as are three of the four bottled offerings -- the single exception was Schneider TAP1. The local beers were a well-curated and well-kept selection, including IPAs, pale ales, Helles, stout and brown ale. That list should give a clue as to the big challenge facing local craft brewers here, which is how do they do something distinctive and different? They have no local beer styles to work with, so really it's all just variations on the US 'craft standards' plus styles from the big beer traditions, which means Britain, Belgium, Germany, and perhaps Ireland. BlackLab was quite a change from the other two. It’s down by the posh harbour alongside other ‘destination nightspots’, quite a bit more spacious inside and with a good-sized terrace area too. The beer prices are a bit posher as well, but not too bad. The one fly in the ointment was the crappy free Wi-Fi which, even after requiring me to register, timed me out after two hours with no option to renew. Catching up with Joan, after we met a few times at other events (most notably the Beer Writers & Bloggers Conferences), was great. So was most of the beer I had while I was in Barcelona – even some of the cheap macro stuff I picked up for under a Euro. As in other countries, there’s also the welcome first signs of beers with a local twist, whether that’s a Saison with orange, Porter aged in a Rioja barrel, or simply a toasty strong lager that works far better as a beer for a sunny terrace than you’d even imagine it might. I barely scratched the surface of Barcelona’s new beer culture. There’s many more bars and brewery taprooms to visit, there’s the Barcelona Beer Challenge, and next week there is the Barcelona Beer Festival, which Joan helps organise. It’s definitely one of Europe’s top new beer destinations. 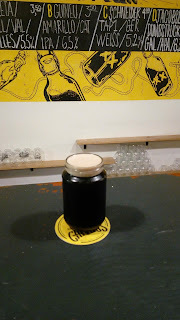 *The Chivuo’s jars weren’t lined, but I’d guess they were about 330ml which made the beers €10 a litre, or about £5 a pint – and it’s the same price regardless of strength. Pricing in BierCab and BlackLab varied by beer and was higher overall, but not a lot. Barcelona has definitely become a beer destination, as well as a fine city to visit in its own right. I haven’t been to Chivuo's, but I have been to the other two establishments you wrote about, Bryan. BierCab provided a welcome refuge from a late November deluge just over two years ago, and I found their shop next door equally appealing, but BlackLab gets my accolade as a fine place to enjoy house-brewed beers in a great, harbour-side location. 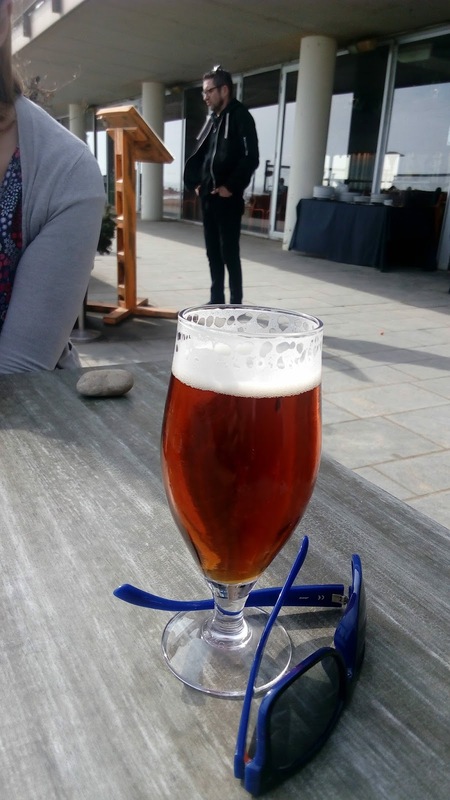 Perhaps the early spring sunshine helped, but I had an excellent lunch and some equally fine beers there, last March, and it’s somewhere I would definitely go back to, next time I’m in Barcelona. Good to hear you managed to catch up with Joan. I expect he’s got his work cut out at the moment, with the Barcelona Beer Festival taking place next week. I enjoyed last year’s event, but unfortunately I couldn’t make this year’s. Definitely one to put on the Beer Festival Calendar, though.